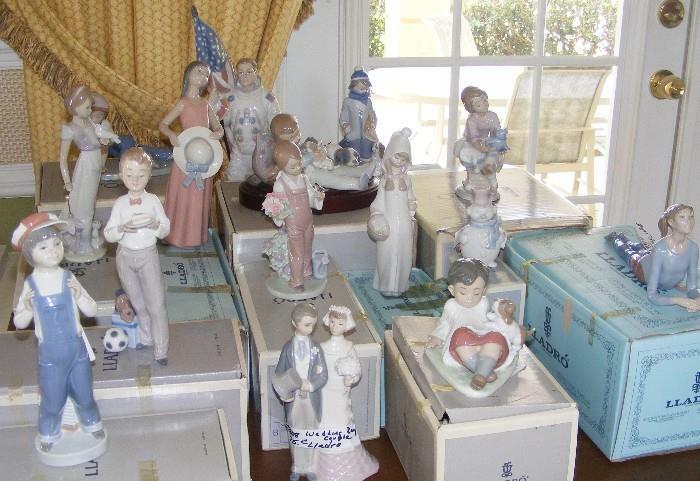 A most unique estate sale in Oviedo, Florida. Five generations of Pennsylvanian historical families. It started with VIP galas 5pm-8pm August 17 and August 18 and opens to the public without appointments on Thursday August, 20th at 9am conducted by Cece’s Closet, LLC. What is unique is the idea of having appointment only VIP galas with what was called “superior purchases of $100” in certain areas of the sale. 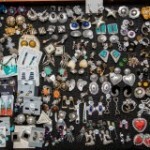 We have not spoken with Cece, however, with a short video and over 500 photos we thought this sale news worthy for several reasons. Here is a link to her website. 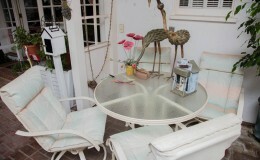 To view more information and the photos click here. This sale features everything from a Coco Chanel dog coat, Mercedes Benz, Civil War memorabilia, gold jewelry and more. 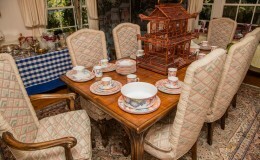 Again LA Estate Sales is conducting a magnificent large estate sale for the Lang family for four days starting Thursday, August 13th. Walter Lang and his son Richard Lang were directors of some of Hollywood’s most memorable movies and television shows. Walter Lang directed Can Can, The King and I, and There is No Business Like Show Business to name a few and his son Richard directed Melrose Place, Beverly Hills 90210, Julia, Charlie’s Angels, and others. Richard’s mother Fieldsie was a silent film actress and was a sidekick of Carol Lombard as well as one of her best friends. 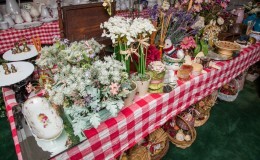 This home is filled with items accumulated by Richard and Carole Lang and his father and mother. 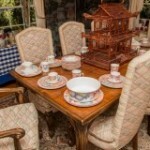 An unbelievable eclectic assortment of sterling, china, male oriented collectibles, and furnishings. Copeland Spode Herring Hunt Red Border china (discontinued in 1940). Fantastic assortment of camera equipment including Leica, Hasselblad, Nikon, and others. Lots of vintage clothing and a fantastic collection of 1930s-1940s AAA edition of 250 – signed Thomas Hart Benton prints and many other known artists. This sale has taken weeks to prepare it has so many items. 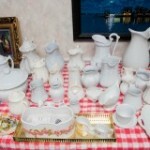 Here is a brief slide show of some of the items in this great estate sale. 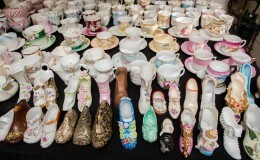 Many more photos have been added to this extraordinary sale. Here are a few. 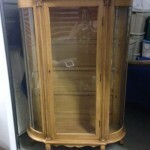 To learn more about this fabulous estate sale Click Here. 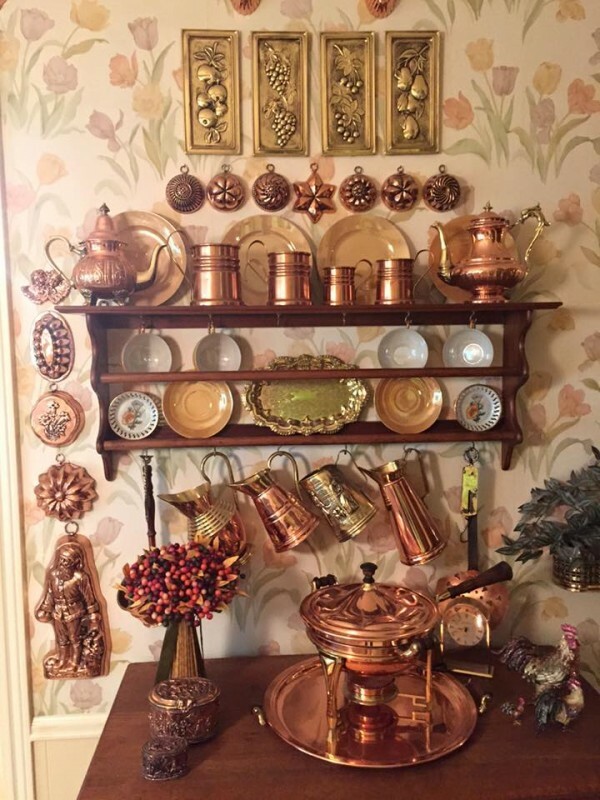 Shopping For Estate Sales – What Do You Look For? 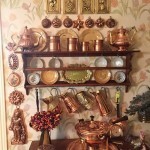 This week across America there are many outstanding estate sales. 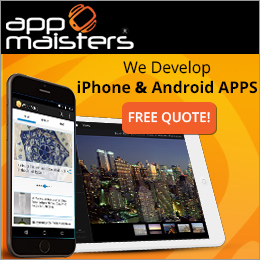 What attracts you to specific sales? 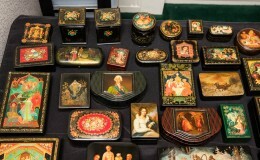 Today estate sale companies post hundreds to thousands of photos of the items that will be for sale at their liquidation events. Do you look through every photo? Do you read through the descriptions? 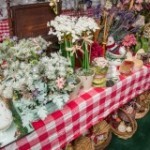 Some of them offer a list of items and others give you the story of the estate as well as the items that are in the sales. 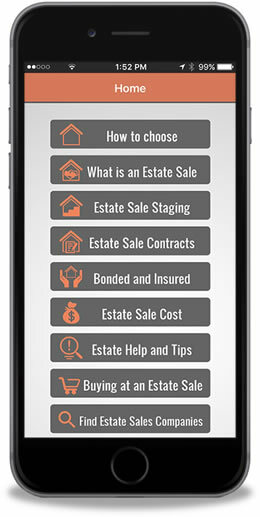 Do you subscribe to an estate sale listing websites to see what sales are taking place in your area? 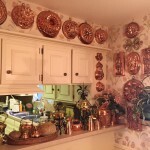 Many estate sale shoppers go from one listing site to another to see what may be posted as not all estate companies use every listing site available. 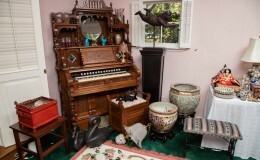 There are estate liquidators that have chosen to put up videos of their estate sales along with photos enabling you to take a virtual tour of the sale ahead of time. 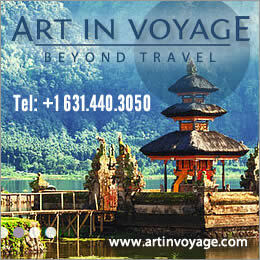 Do you take advantage of these video tours? 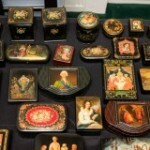 Each estate sale attendee shops differently and with that in mind estate sale companies have changed the way they market their sales. 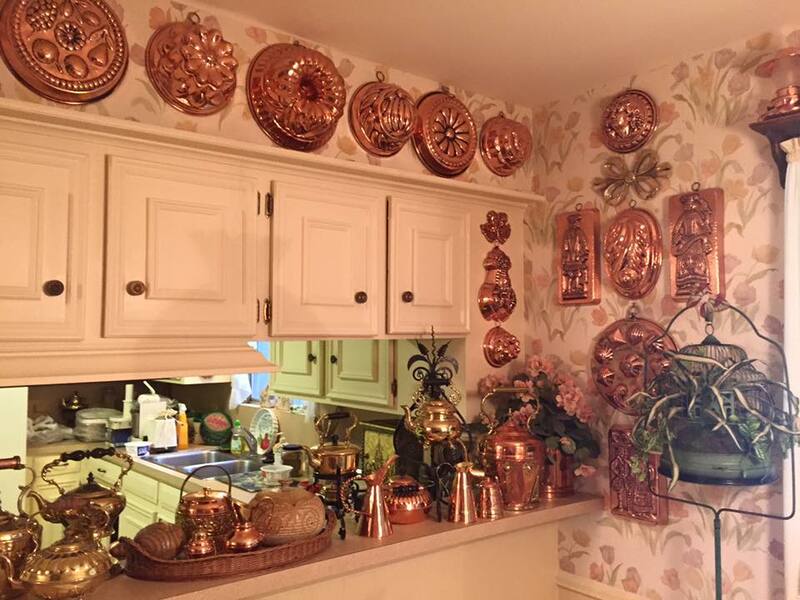 So have the estate sale listing websites. They now offer the liquidation companies that list their sales on them the ease of posting them to Facebook, Twitter, Pinterest, and other social media outlets. 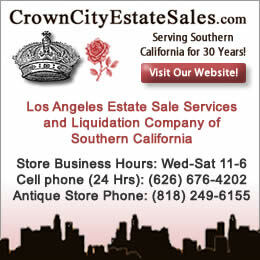 With so many outstanding sales this week with from the estate of a Hollywood producer to beautiful antiques and other great items we will look at the many ways to advertise and attract the attention of buyers and even perspective future sellers. 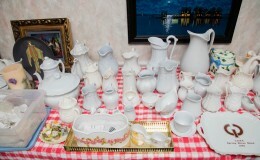 Some of the interesting items for sale this week and at upcoming estate sales and it’s ThrowBack Thursday. 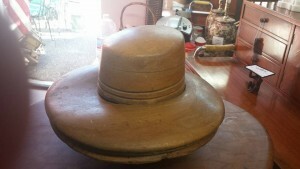 A wooden hat form compliments of Crown City Estate Sales – Los Angeles & southern, California. Click here for link to their website. 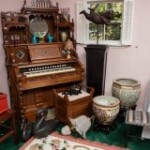 At Brian Mays Estate & Moving Sales starting 8/7/14 in Hopkins, MN from the Cream of Wheat family estate antiques featured here an 1850s melodeon. Click here for link. 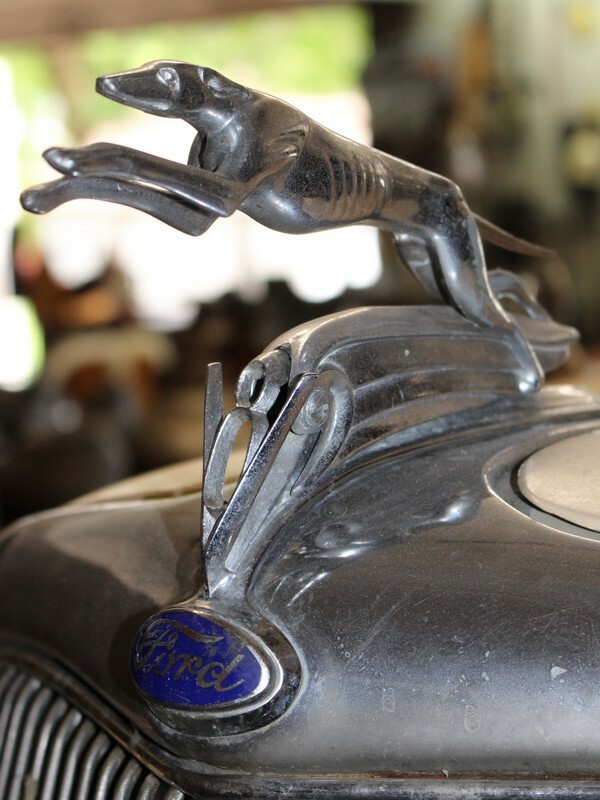 Two classic Ford cars at and estate sale in Chicago, IL starting 8/7/15 by Sassies Estate Sales, Inc. 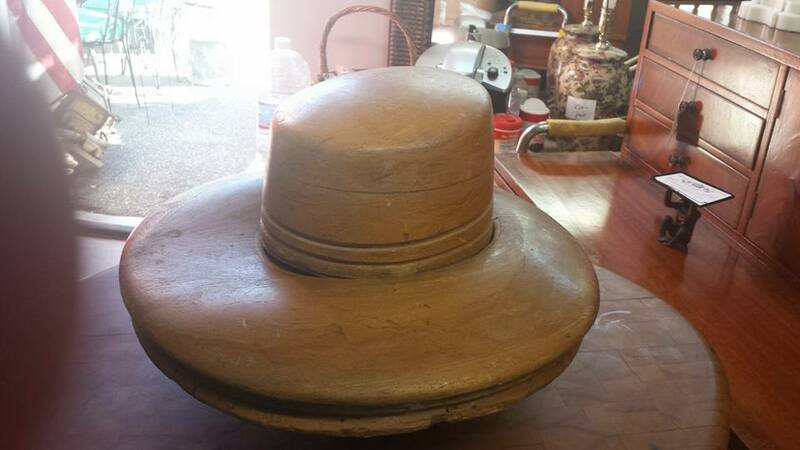 Here is the 1959. Click here for the link. 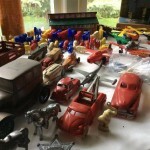 What’s Selling At Estate Sales This Weekend? 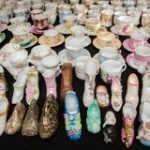 In Davis, CA starting today, conducted by Jennie Krausse Estate Liquidation, the estate of Lani Ball, a theatrical stage manager on Broadway, for touring companies and international. 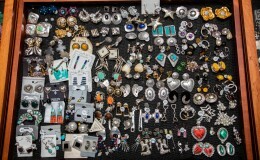 The sale includes textiles, artwork, furnishing, jewelry and everything she owned. Jennie called her an endless romantic. The sale is packed. 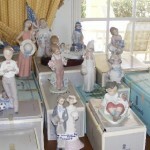 Here is a link to her sale and site. 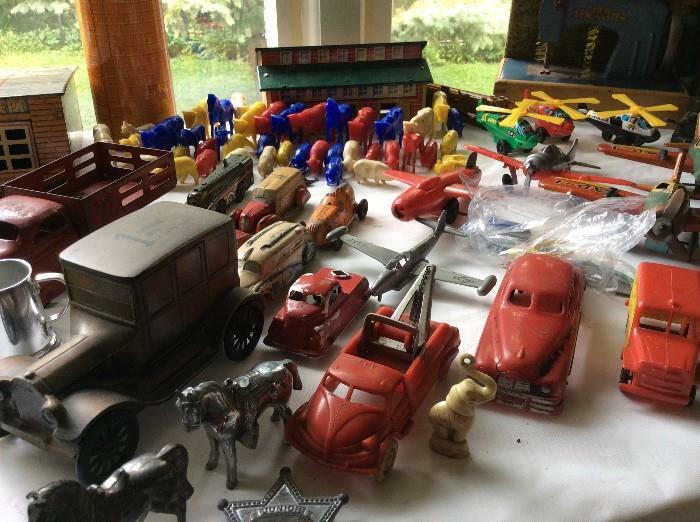 Platinum Estate Sales LLC will be conducting a walk back in time sale starting August 1st in Crystal Lake, IL with toys, vintage, retro, tools, diggers, pickers, and a 1999 Cadillac and more. 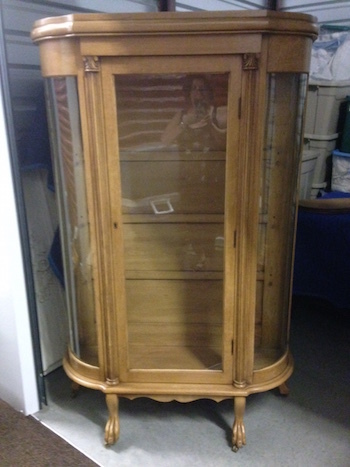 Click here for a link to this sale that has unique, retro items, and a pickers delight. 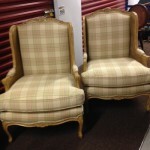 These are only two of 1000’s of estate sales across the country. 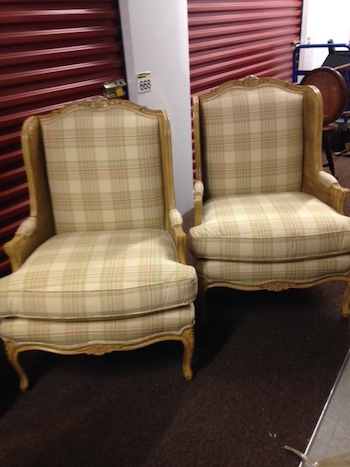 The estate liquidators have been working hard from days to weeks preparing these liquidations. 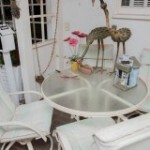 To view sales in your area click on one of the links below in your area. 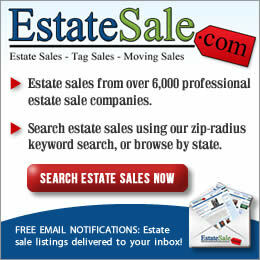 Please let the estate sale companies you visit know you read and follow EstateSalesNews.com the #1 source for estate sales news and information. You’ll find us on Facebook, Twitter, and Pinterest or on Google+. I wanted to share with you one of my most treasured possessions. 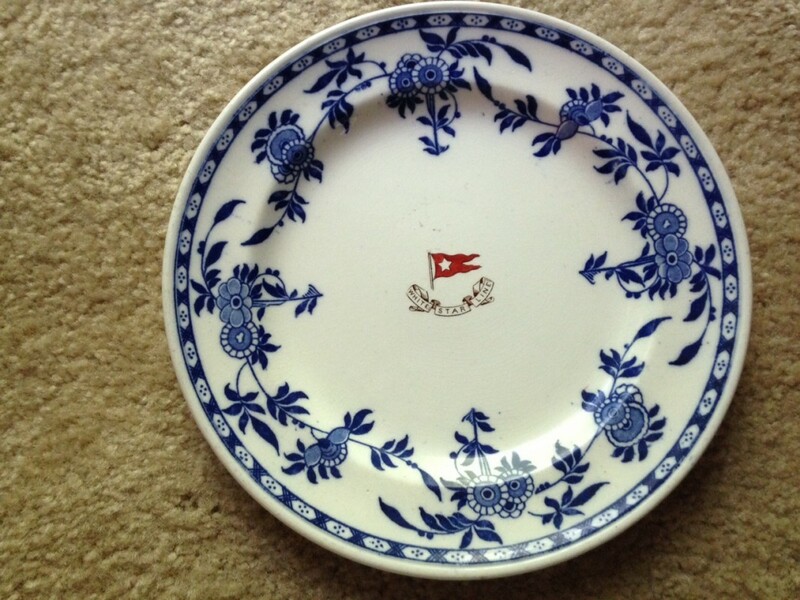 I have been interested in RMS Titanic and steamships for most of my life and about 25 years ago I happened across this plate for sale. 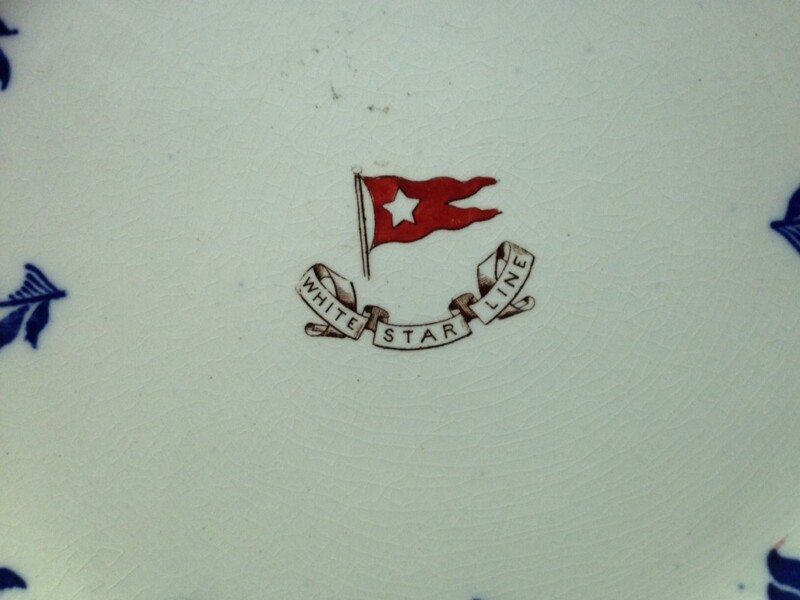 A White Star Line 2nd class plate with a special heritage. 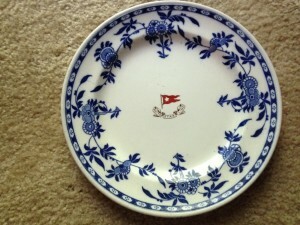 The plate is not from RMS Titanic, but I was told it was taken from her sister ship RMS Olympic which was in service from 1911 until 1935 by a family who traveled aboard her to the United States. 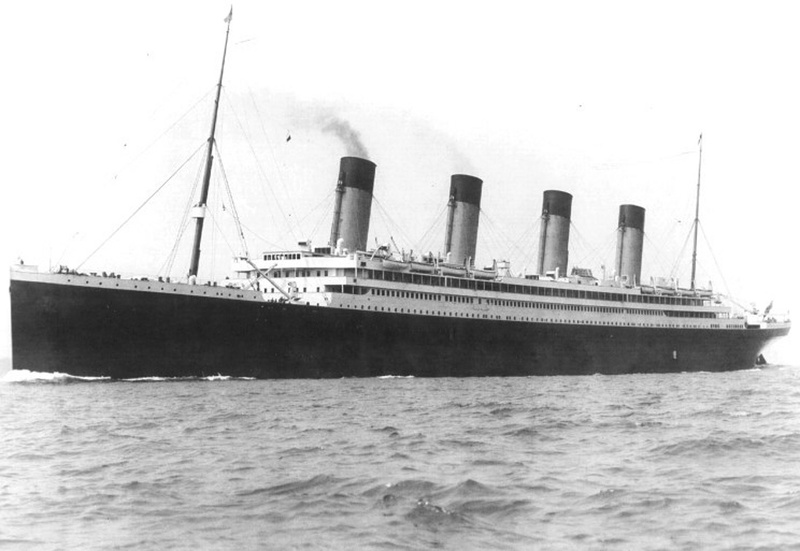 She was slightly smaller than Titanic, but enjoyed a long life on the sea. 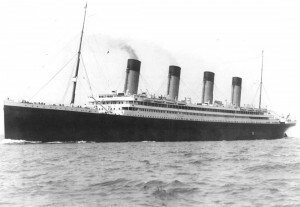 RMS Olympic was identical to Titanic except for her slightly smaller size and celebrities and the wealthy were eager to travel on her despite the unfortunate sinking of RMS Titanic. She served the British during WWI and returned to ocean crossings at the end of the war. When White Star Lines and Cunard merged in 1934 she was eventually retired to make way for newer ships like the RMS Queen Mary and RMS Queen Elizabeth. She was sold and the demolition of her super structure helped to provide employment in the depressed region of Southampton. She also had a grand staircase like Titanic. Her other sister ship RMS Britannic sank in 1916 after an explosion in the Agean Sea. Ships in the early 1900’s featured three classes, first, second, and steerage. 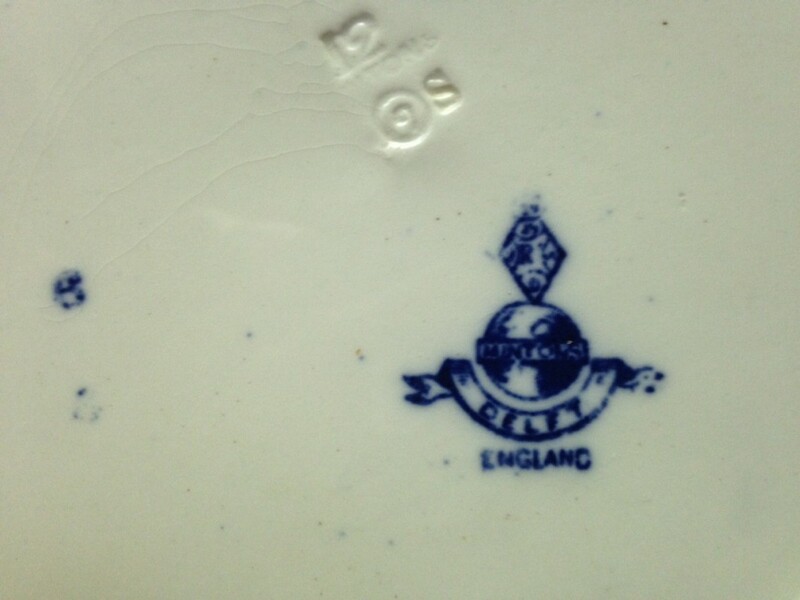 This plate is a second class plate. At the time that RMS Olympic was demolished she had completed 257 round trips of the Atlantic, carrying 430,000 passengers on commercial voyages having traveled 1.8 million miles.